Lalit Deshmukh is a professional fine art photographer situated in Pune, India. Lalit is very passionate about the nature, where he draws much of his inspiration for photography. He enjoys capturing special moments in nature and invoking emotions via the compositions and the light. Lalit has spent more than 17 years exploring and photographing many location around the world including Western United States, Colorado plateau and coastal India. His current work is much focused on photographing landscapes and culture in the Himalayan range. Lalit, is a passionate teacher, and has taught more than 1500 students in last five years in India. Most of them now enjoy photography as a hobby. Some of them have accepted this as a career under Lalit’s guidance and continue to grow. In the year 2011, Lalit formed Impressions Photography Workshops and Expeditions, an organization that strives to provide knowledge, experience and help achieve creative and artistic goals of people. Lalit has presented his work in USA at Idaho Photographic Workshop, Western Idaho fair. In India his work is exhibited by Kirloskar Vasundhara International Film Festival, Judges’ exhibit in Wild Reflections as well as at Impressions Exhibition. Lalit also made his solo exhibition on landscapes named “Art by Earth” at Jehangir Art Gallery, Mumbai in May 2015. 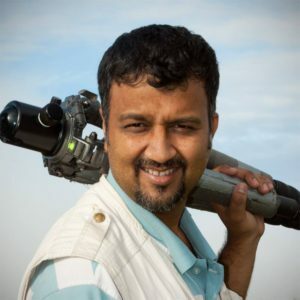 He has provided training in Landscape and Nature Photography in the classroom and on the field, in India and abroad. He is also an invited speaker on Photography in various institutes including Iowas State University, USA, corporate organizations like Tata Technologies, Ideas, Infosys and more. Recently India’s largest selling photography magazine “Smart Photography” ran an article on Lalit as a Master Craftsman in the July 2015 issue. Lalit has also published photographs in smart photography. “Hamsa” a Marathi magazine also ran a story called “निसर्गचित्रांचा कवी” (Poet of Nature images) on Lalit during the Diwali Edition 2016. Brought up in India and graduated in Electronics from Pune. Later completed his Masters in Computer Science from Ohio, United States. He comes from 12 years of profession in the software industry. He now stays in India and fully committed to his passion of photography and social issues.